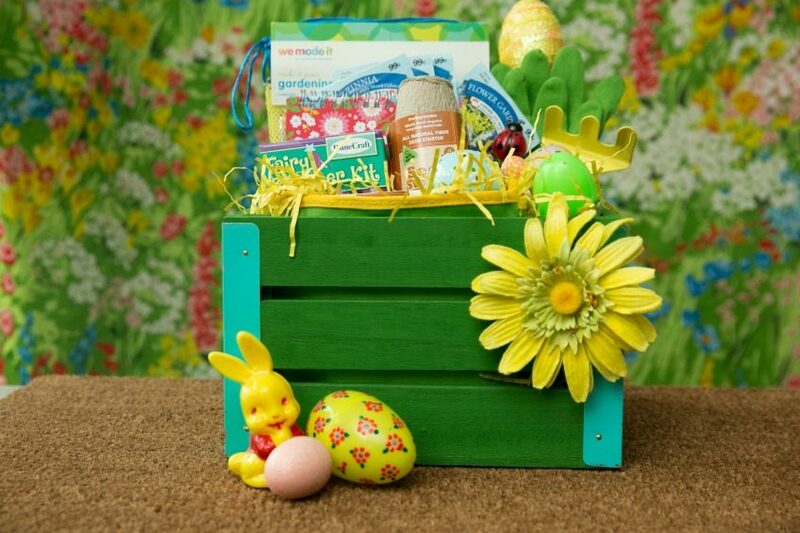 Think of Easter baskets the same way you would a themed gift basket. Everything in an Easter basket does not have to be all chocolate bunnies all the time. As a matter of fact I wrote an entire article for DIY Network with 15 Themed Easter Baskets That Aren’t Filled With Candy. You can make baskets just for babies, with a dinosaur theme or perhaps your little wants to be a rockstar. Once you think beyond Little Bunny FooFoo the options – like gardening themed – really open up. If you are going to the trouble of filling a themed custom Easter basket you might as well take that extra step and customize your Easter eggs. Might I suggest some Puffy Paint Flower Eggs that look like they were picked fresh from the garden. 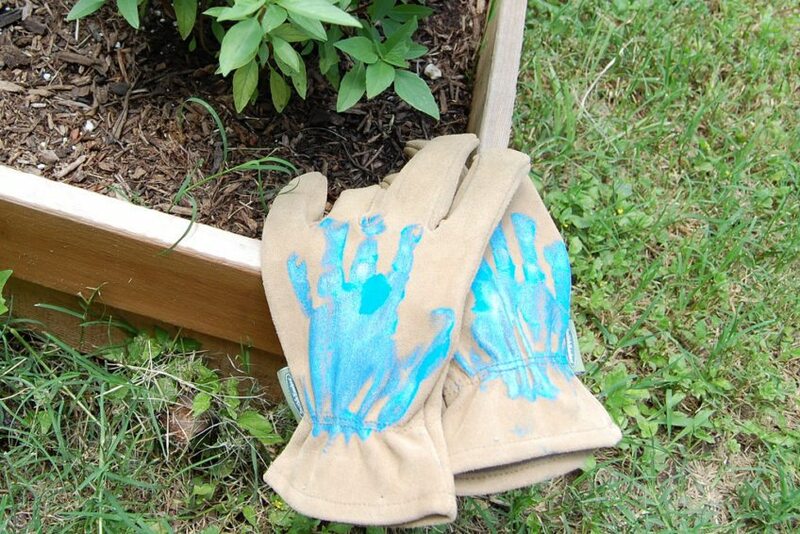 Gardening Gloves are always a good idea to include in an Easter basket about digging in the dirt. These adult sized gloves were customized with little kid handprints. Mother and Father’s Day are coming right up and these make great gifts. 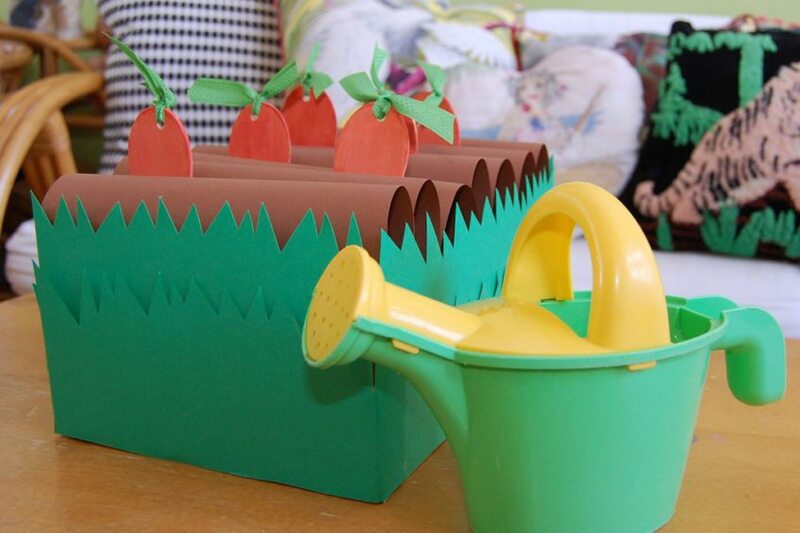 If your Easter basket is big enough you could make a Shoebox Veggie Patch Game. Little ones will have tons of fun pulling wood carrots from their personal patch. Oh and every garden themed Easter basket needs a watering can. Clearly. What about an Easter Basket Terrarium? If you are lucky enough to find baskets like these that came from Target they convert into a terrarium easily. Seeds, pots, mini tools – am I missing anything? 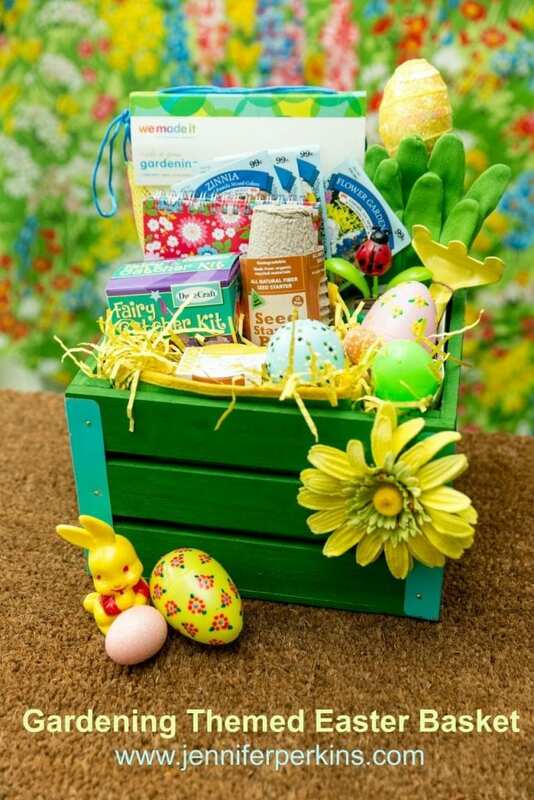 What would you put in your Garden Themed Easter Basket? Be sure to pop over to DIY Network and check out my post 15 Themed Easter Baskets That Aren’t Filled With Candy with ideas like Pool Themed and Chalk Themed. Posted March 24, 2017 & filed under Crafts, Easter, Holidays, Plant Crafts. Oh I love all the colour and a great gift idea. Thanks for sharing with us at #OvertheMoon Link Party. Pinning and sharing. Thank you Sue! Anything that works as a themed Easter basket, just remove the eggs and it makes a great gift basket year round. Thanks Jamie. My son has a peanut allergy and don’t get me wrong he has a sweet tooth to be reckoned with, but when there are candy free options I always try and go that route. 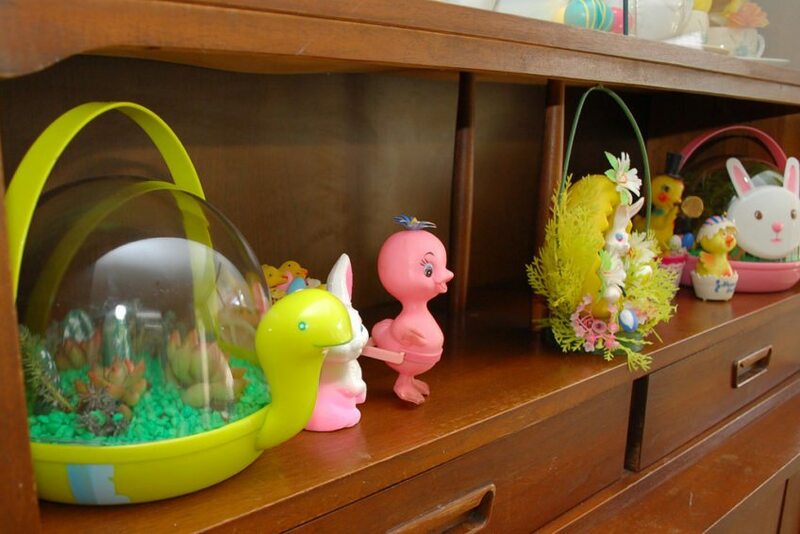 I adore this and especially the color plastic eggs! Thank you for sharing at What’d You Do This Weekend? Thanks Linda those Puffy Paint eggs have always been one of my favorite projects. Such a sweet idea. the colored eggs are bright and cheerful. Thanks for sharing at DI&DI. Love this idea! My little ones are really interested in helping outside in the gardens this year. Pinned and sharing. Thank you for joining us at Family Joy Blog Link-Up Party. I hope you will join our next party starting Sunday at noon EST. What a fun theme!! 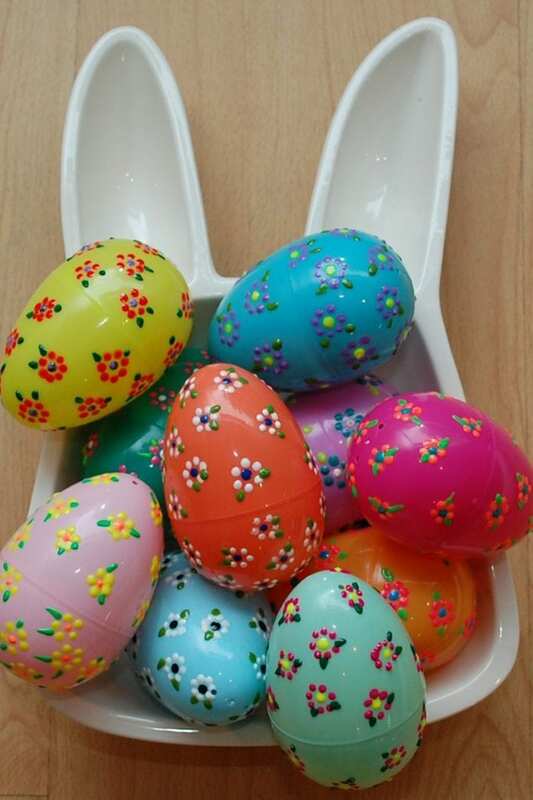 I love the puffy paint eggs – simple but oh so adorable. Love themed Easter baskets and this garden one is super cute.